Probiotics have become increasing popular, showing up on labels of everything from supplements to yogurt to granola bars. But, what are probiotics? Probiotics are “friendly or good bacteria” that are similar to organisms that occur naturally in the digestive tract. Probiotics have been linked to health benefits such as helping with IBS to calming an upset stomach and even boosting the immune system. We’ve been huge proponents of probiotics in our household and having the opportunity to review Power Pearl Probiotic was something we were looking forward to. After all, with a market flooded with probiotics brands, it’s difficult to know which one to purchase. Beginning with the packing, Power Pearl Probiotic offers a convenient flip top so those with arthritis or other issues will have less problems opening the bottle. Secondly, and this is a biggie (no pun intended) the pills themselves are small pearls versus capsules. Capsules surrender their ingredients too soon or too late. The Power Pearl Probiotic patented probiotic “pearls” are designed to deliver the most power to your tummy. We began taking Power Pearl Probiotic 48 hours ago and can already feel a difference. 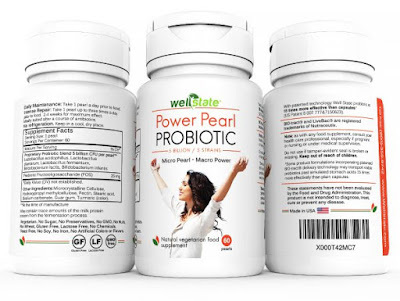 Power Pearl Probiotic is specially designed to encourage the microenvironment your gut needs to absorb nutrients and it calms digestive issues such as bloating, diarrhea and gas. 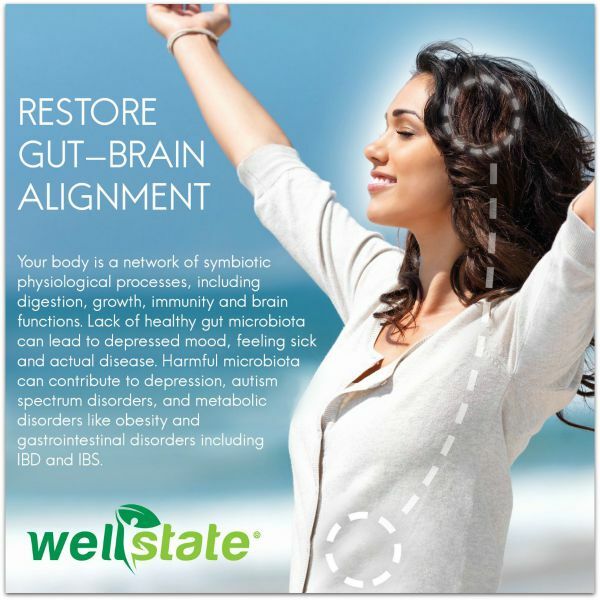 When your gut is working properly, your metabolism will be in balance and this can also lead to weight loss. Power Pearl Probiotic are vegetarian and contain ZERO sugar, preservatives, GMO, nuts, wheat, gluten, lactose, chemicals, yeast, soy, iron, artificial colors and are Made In The USA. 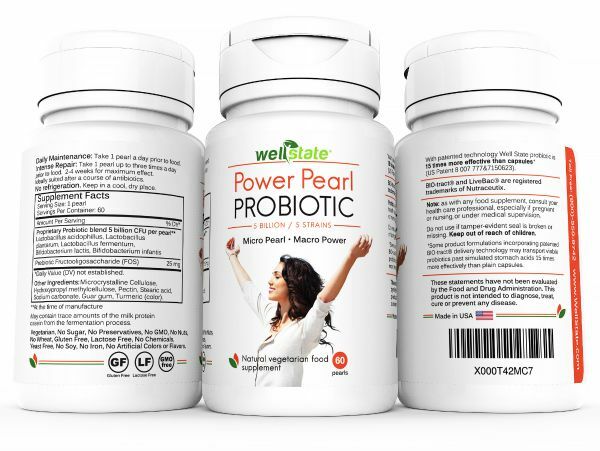 You can order Power Pearl Probiotic ($20.97 / 60 count) on Amazon and Well State! Medical Advice Disclaimer: The information included in this post is not intended nor implied to be a substitute for professional medical advice. The reader should always consult his or her health-care provider.